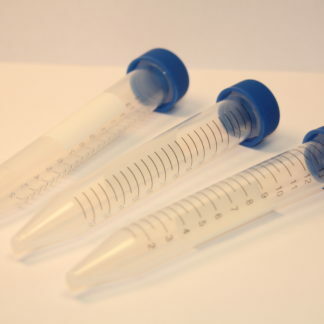 ﻿ 25 mL Glass Burette with Teflon stopcock – Vinmetrica – Sulfite (SO2), Malic, Alcohol & pH/TA tests for Wine, Beer & Kombucha. 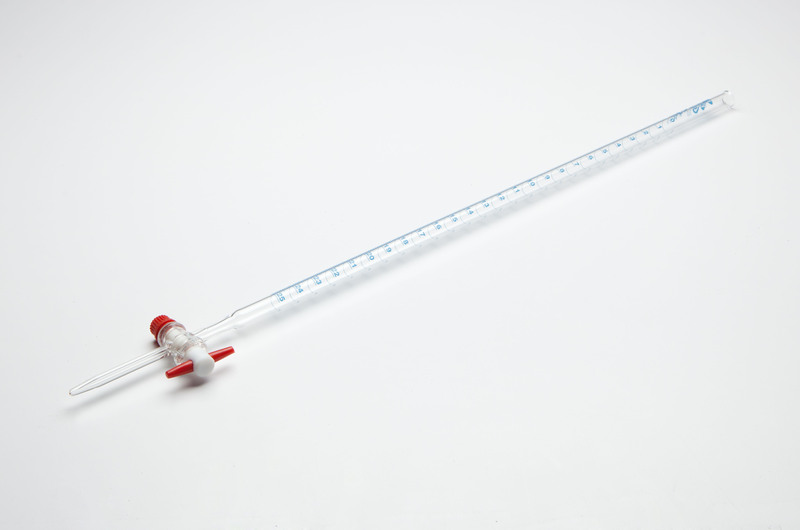 The 25mL burette is currently out of stock. We expect it to be back in stock around June 15, 2017. Thank you for your patience. 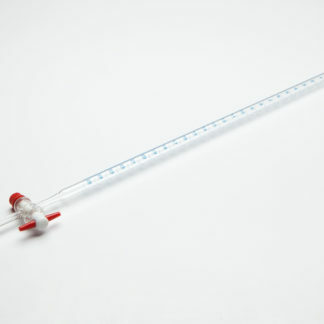 Glass burette with a 25 mL titration volume, 0.10 mL gradations, and comes with a Teflon stopcock. 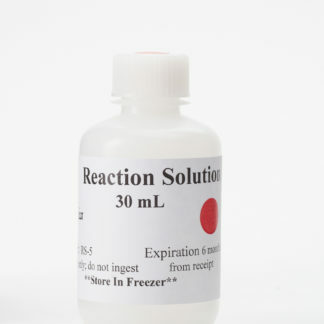 Increases precision and resolution of titrations for measuring TA and SO2. 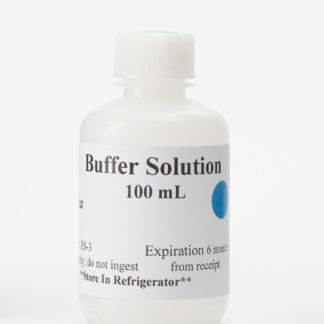 Includes a dry burette detergent and instructions for cleaning. 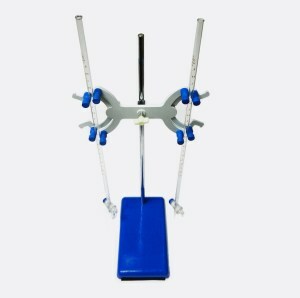 Can be secured with a double burette clamp attached to a laboratory support stand. 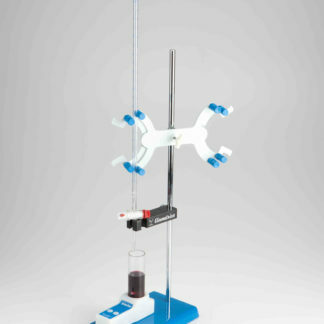 Class A burette with +/- 0.03 cm3 tolerance. Caution: ALWAYS use eye protection and gloves (laytex or nitrile) when using glassware and chemical reagents. In addition, we recommend wearing long sleeves, pants and closed toed shoes (no sandals). 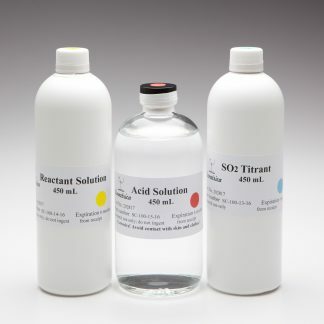 If you do get reagents like the acid reagent or TA titrant on your skin be sure to wash it off with water.